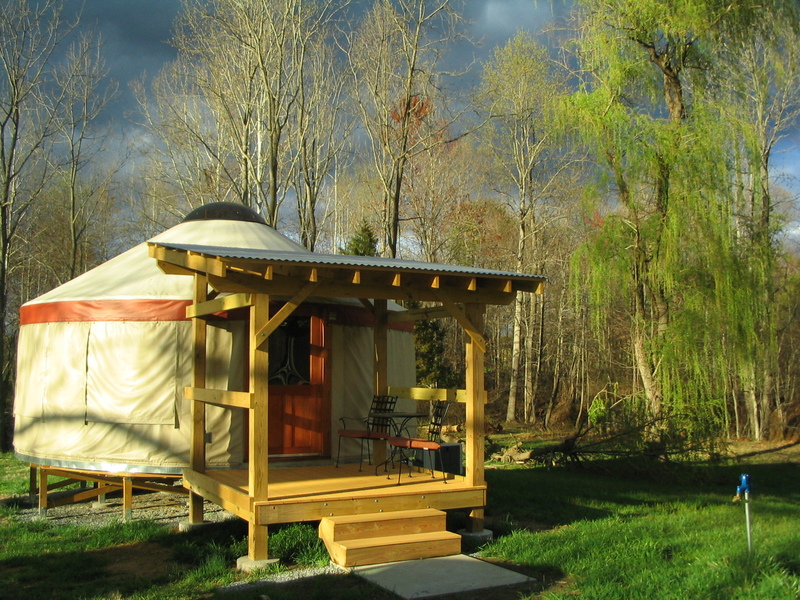 There were two beautiful old willow trees growing behind the yurt. One fell a few weeks ago in a windstorm. 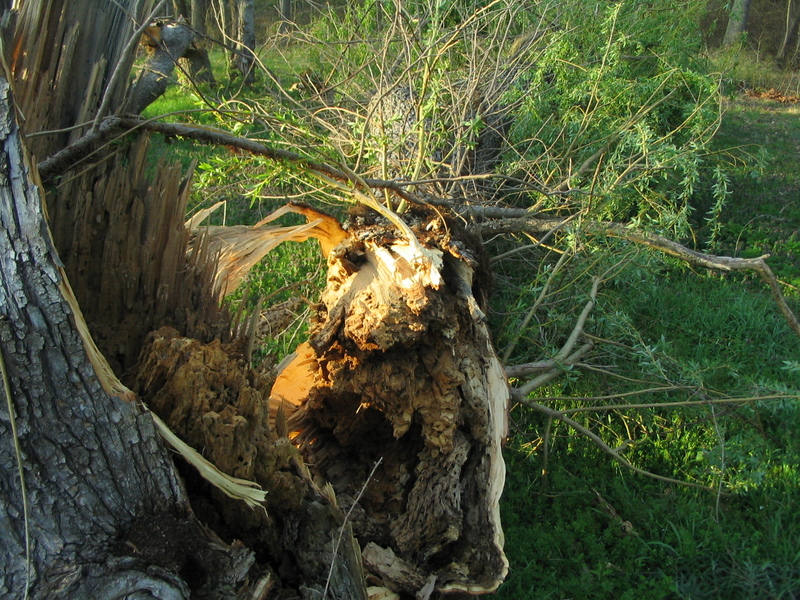 Gavin had just finished limbing up the fallen tree when we had more strong winds, and the second willow fell during the night. Both trees were quite rotten, and this one is encircled with a wrist-thick poison ivy vine. We have buried several of the young green limbs hoping they’ll take root and we’ll have willows again someday. 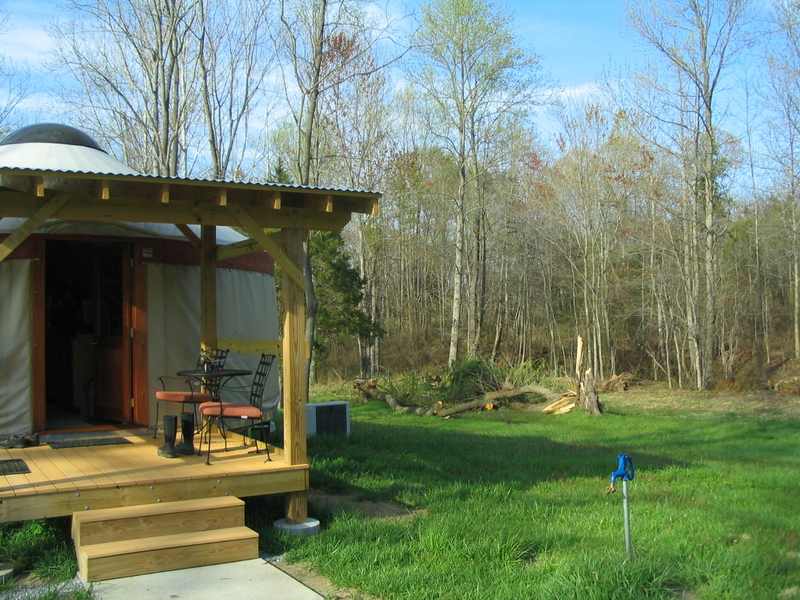 We grow vegetables, herbs, and shiitake mushrooms on our farm in Central Virginia. We are committed to providing our market customers with a diverse selection of fresh produce that is flavorful and nutritious. We grow all our crops without the use of herbicides, pesticides, fungicides, or chemical fertilizers. We spend a lot of effort improving our soils so that our plants will thrive. Visit our stand at the Forest Farmers' Market and experience the delights of nourishing yourself with what's in season! Sign up here to receive email updates on farm happenings.